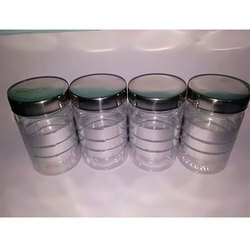 Dry Friut Containers or Food Supplement Containers Specifically designed with wide mouths for easy dispensation. Our Dry Storage Containers meets the requirements of food supplement packaging. They are available in different shapes and sizes. Our range of products is available for storing and packing for diversified items. Matching up with the ever increasing requirements of the customers, our company is engaged in providing Transparent Airtight Container. Containers provided by us are available with air tight lids on top that keep the materials fresh. Our food storage containers are of high quality that keeps the properties and scrumptious taste of the food material intact. 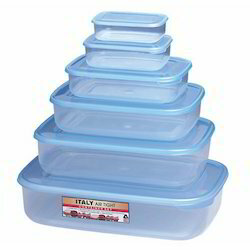 Our food storage containers are available at very competitive prices.